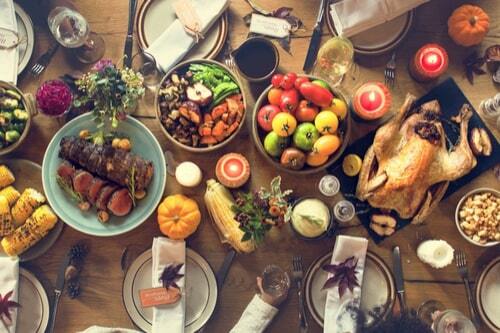 Thanksgiving doesn’t have to gobble up a huge chunk of change this holiday season. If you are the person in charge for serving dinner, you can be stressed out because of the expenses. You don't have to go over your budget this Thanksgiving. 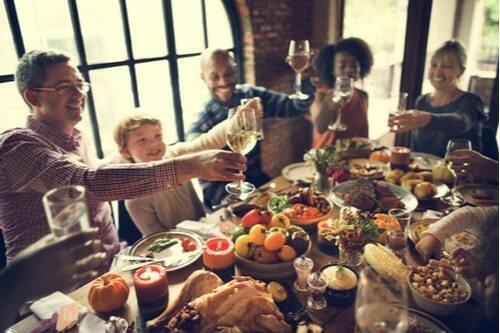 These tips and tricks will help you give thanks without breaking the bank. If you're a member of certain supermarkets, you may get rewards or “perks” for the holiday season. For example, Shoprite has a promotion each Thanksgiving for a free turkey or ham. It’s pretty simple actually. All you need to do is spend $250 between October 14 and November 22 to get your free meat. 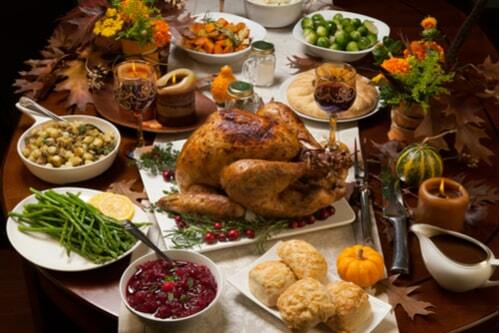 Although this seems like a lot of money, you are planning a holiday dinner. You can use this time to buy the things you need for your dinner that will not perish, while also saving money you would have spent on the turkey or ham. You can get the beverages you need, canned vegetables, and even some frozen foods as well. Even if it is not something you are used to, you may want to try to use coupons. Coupon pages usually come with your local newspaper in the middle of the paper. They are typically called “circulars”. Hold onto them until you do your big shopping for Thanksgiving. Look at them before you shop and only bring the coupons with you that you will need. This will eliminate the stress of flipping through coupons while checking out at the supermarket. Do a little bit of shopping at a time. Do not wait until the last minute to buy everything. By shopping for a few things per trip to the supermarket, you don’t have to blow a whole paycheck in one day. Don’t be afraid to ask your family for help. If a few people make some side dishes and desserts it will really take a load off of you. Ask, in advance, for the help. You can even ask for some people to bring wine or sparkling cider. This will take about $50-$60 out of the money you have to spend. If you are cooking for a large amount of people and know you will need a lot of ingredients, you may want to shop at a Warehouse store. This would be somewhere such as BJ’s, Sam’s Club, or Costco. Although you have to be a member and pay a small fee to shop here, it will be worth it for all the savings you will receive by buying in bulk. Frozen and canned vegetables are much cheaper than fresh foods. They are still packed with flavor for half the price. Also, they last longer than fresh vegetables so you can purchase in advance without worry that they will go bad. Decorating for Thanksgiving is just an added expense. You don’t have to spend a bunch of money on decorations. Go to the dollar store and grab some cheap tablecloths, decorations for the table, and napkins. You can even use plastic dishware to spare yourself from the excess amount of dishes. If you find that the expenses are stacking up and you just cannot afford the holiday, you may need some extra help. A title loan could be a good option for you. Taking out a title loan means you will be able to pay for Thanksgiving and maybe have some extra money for the Christmas season as well.